Although I’ve travelled through much of Europe, I’m still amazed at the undiscovered pockets of beauty I discover on every trip. For my next trip I decided to take a long weekend break to the mountains of Austria. I’d fallen in love with Vienna when I visited a few years ago, and I couldn't wait to explore more of country. 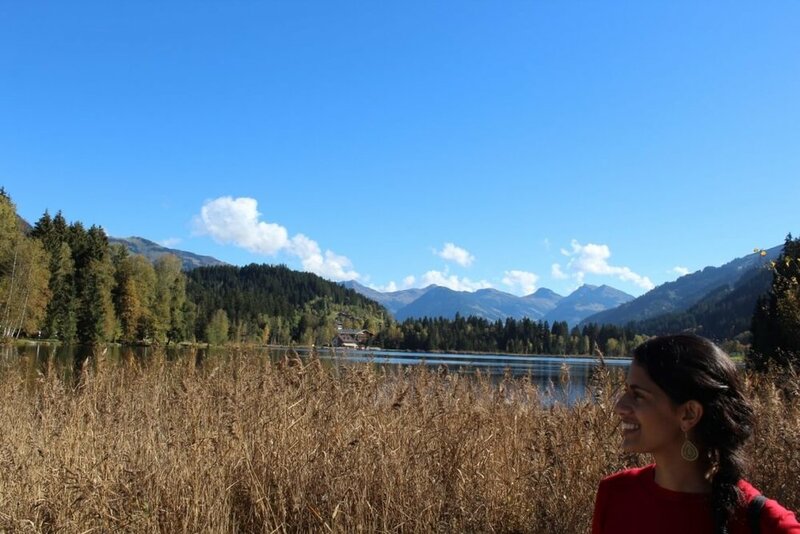 We landed in Salzburg and headed to Kirchberg in Tirol, a quaint rural farming village located in the heart of the Kitzbuehel Alps and a popular destination for skiing and winter sports, hiking, biking, downhill mountain biking and alpine walking. 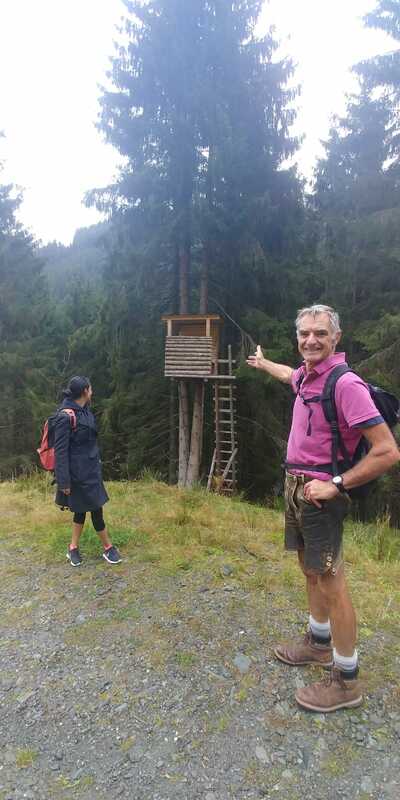 We were saying in the gorgeous Haus Alpenblick in Kirchberg, a stunning mountain lodge built in the 1930’s is currently owned by the lovely Emma and Chris, a couple hailing from Australia and New Zealand, respectively. Since taking it over in 2003, the couple have restored Haus Alpenblick to reflect a typical Austrian country house, keeping true to many of the original touches. A stay at Haus Alpenblick promises warm hospitality, comforting home cooked meals, fresh beer and pure mountain scenery, and this is exactly what we received. We had a cosy double bedroom with views of the mountains and town too. 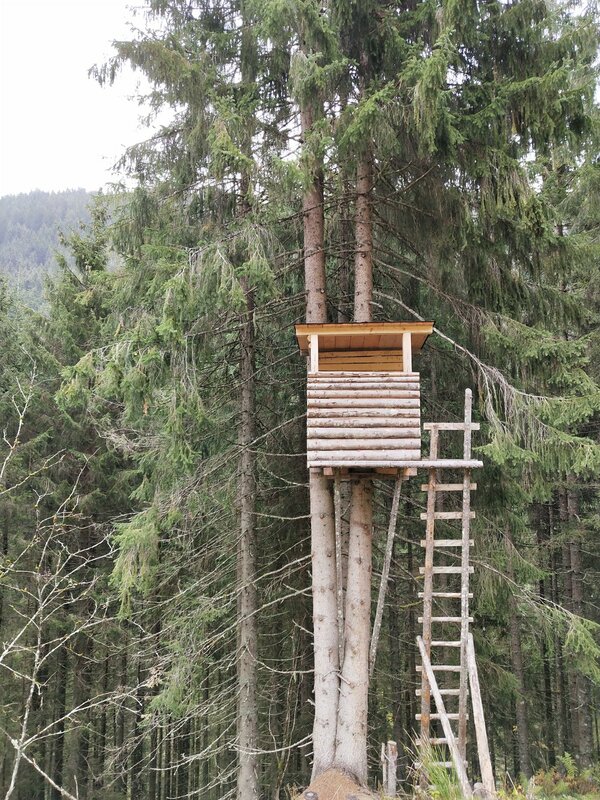 There is a balcony on every floor which offer the perfect place for the fresh country air fills your lungs. The, quite literally, breathtaking views from the Haus include in the view of the Kitzbuheler Horn- a large mountain in the Kitzbuehel Alps, the famous ‘Streif’ where the Hahnenkamm Downward Ski slope Race is run. Having arrived quite late in the evening on the first night, Emma kindly cooked us a delicious dinner of Flammkuchen, the German equivalent to pizza – one traditional with ‘Speck und Zwiebel’ (Tirolean bacon and onion) and the other with walnuts, goats cheese and honey. Both were simply delicious and comforting and went perfectly with the alpine surroundings. The couple started their own microbrewery, called Wildegams, at the Haus in 2017, which was a historical moment for the village as it is the first brewery in the region since 1905. Presently, Wildegams brews a Weizenbier (wheat beer), a Kellerbier (lager style beer) and an English Ale. The next beer planned is a dark beer, most likely a Port or a Stout. Traditional bone broth soup with lentils and local vegetables, accompanied by homemade spent grain bread. Crispy pork belly served with pickled red cabbage and beer gravy. Tiroler Grostl – pan-fried crispy potatoes served with sautéed roast pork and bacon pieces, a fried egg and a smattering of chives. Each dish was oozed tradition and and went perfectly with the beers. It was an enlightening experience and has definitely made me think twice since when ordering beers. The following day the sun came out it all its glory and we had a delicious breakfast on the terrace. The morning was spent wandering around the beautiful Schwarzsee, or, as it is known in English, ‘The Black Lake.’ The lake is a a majestic and absolutely beautiful to walk around. The walk offers gorgeous views all around it as it is surrounded by the spectacular Kaiser Mountains. 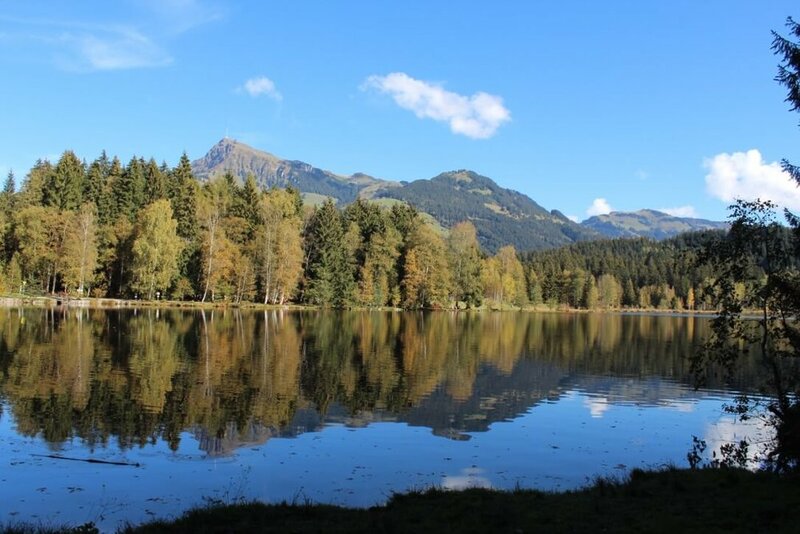 In the late afternoon, we took a train to nearby Kitzbuhel, a trendy Alpine town with fashionable shops and cafes lining the cobbled streets. We spent the evening looking around the photogenic town after which we had dinner at the popular Huberbrau Stuberl, a recommendation from Emma, and a great one at that! Huberbrau Stuberl is one of the most popular restaurants in the area due to the high quality local food which is on offer at very reasonable prices. The menu includes Austrian classics such as dumpling soup, delicious schitzell, and apple strudel. On the final day, breakfast was a hearty omelette filled with wild mushrooms and rocket. This was a much needed breakfast as we were about to tackle the Kitzbuheler Alpen as part of our full-day guided mountain walk with Chris. Although it made me realise just how unfit I am, the walk through the mountains was a cleansing experience, as the fresh Alpen air filled my lungs and the beautiful mountain landscape were a welcome sight for my sore eyes. 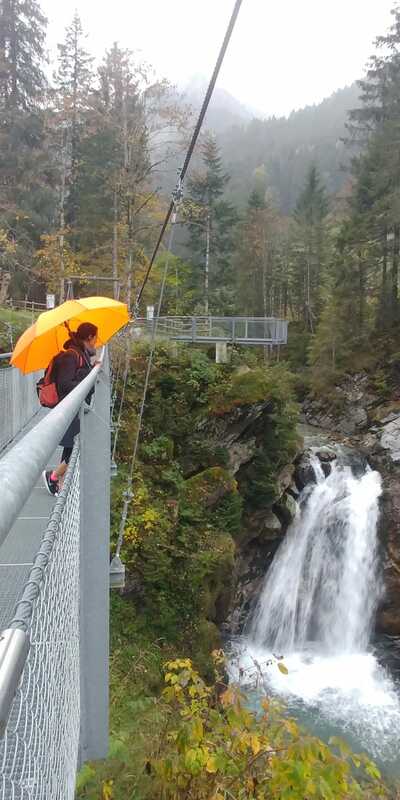 The guided mountain walk included hours of exploring the stunning nature reserve in Aschau, where a beautiful yet ferocious natural waterfall adorns the surrounding landscape. During the walk, we stopped at a traditional mountain hut, or Alm in German, where we had much needed local omelette and beer. Upon return to Haus Alpenblick, we relaxed with a much-needed cup of tea and an early night after a busy day on the mountain. On the final day, Emma gave us personal tour of the village of Kirchberg.The town itself is small but unbelievably charming, with an impressive and ornate church overlooking a beautiful graveyard and the town full of picturesque houses. 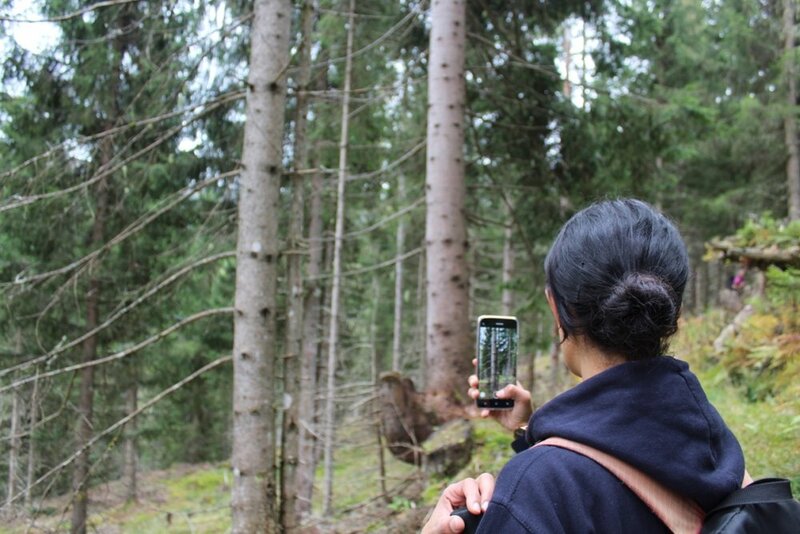 This was sadly our last excursion around Kirchberg and after a preflight lunch at Redbull’s hangar 7, we headed to Salzburg airport and back home. 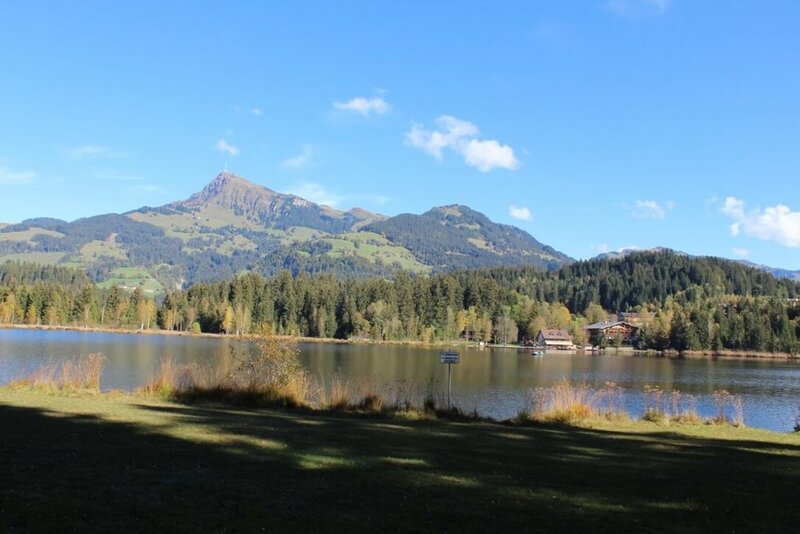 Our weekend in Kirchberg was an exciting experience, as we managed to pack in a lot of activities in a few days. We were constantly astounded by the beauty of the area, from the impressive mountains, to gorgeous lakes. Haus Alpenblick is the ideal place to stay to explore and enjoy Tirol. With its proximity to the ski slopes, towns, transport links, and of course with the expert knowledge of Emma and Chris, any trip to Haus Alpenblick is sure to be enjoyable! Book your stay at Haus Alpenblick in Kirchberg, Tirol.